What information do we collect? How do we use it? When you use our contact forms, we collect your name and e-mail address or phone number in order to respond to your inquiry and to include you in future mailings of our e-newsletter. Will John Cannon Homes, Inc. disclose the information it collects to outside parties? 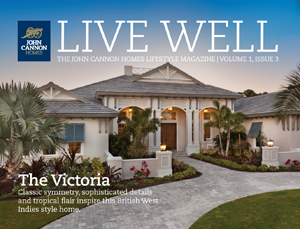 John Cannon Homes does not sell, trade, or rent your personal information to others. We may provide aggregate statistics about our customers, sales, traffic patterns, and related site information to reputable third-party vendors, but these statistics will not include personally identifying information. John Cannon Homes, Inc. is committed to protecting your privacy. We use the information we collect on the site to make your experience at our website informative, convenient, and rewarding. We do not sell, trade, or rent your personal information to others.